There is a new art and creativity retreat in San Miguel de Allende! Newest addition to an already art lovers and painters destination. 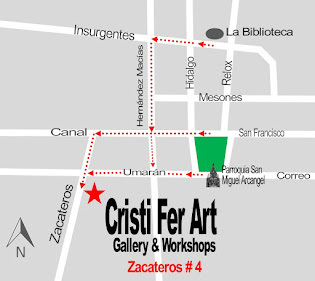 Cristi Fer Art Studio offers an intimate, country feel, Mexican villa accommodations! With a large painting studio on the second floor, French glass doors, unobstructed view of the San Miguel hills. Each room has a private bathroom and is comfortably furnished. The coffee will be brewing when you awake in the morning. Breakfast is cooked by Mexican cook, Aide. Several hours of indoors or outdoors paintings will follow. Then you can enjoy lunch at one of the local Mexican restaurants down the street or take a 15 min walk to Centro where are hundred of restaurants to choose from. Or you may take a Taxi (on us) and explore your culinary options on Ancha de San Antonio. There is a great number of shops, markets, and galleries, lots to see and do! 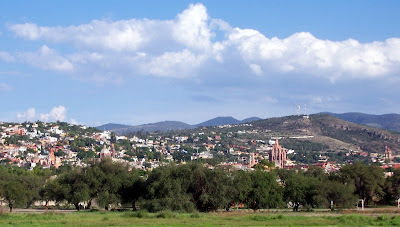 Located in a Mexican neighborhood, with only few Gringo neighbors, we offer a tranquil, peaceful, super small, retreat and a truly Mexican experience! We encourage small groups, of 3 to 4 women to stay with us! 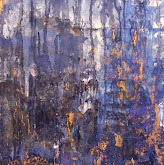 Our newest workshop/ retreat is "The 5 paintings in 5 days" and I anticipate it to be very popular! It's great for beginner artists, intermediate painters who want to explore several ways of expression, or advanced painters who want to learn to draw or paint realistically. We can also arrange some exciting day trips to near by attractions, help you find the best places to take memorable photos, learn to bargain in Spanish, from a Mexican! Contact us today to plan a fantastic painting vacation !